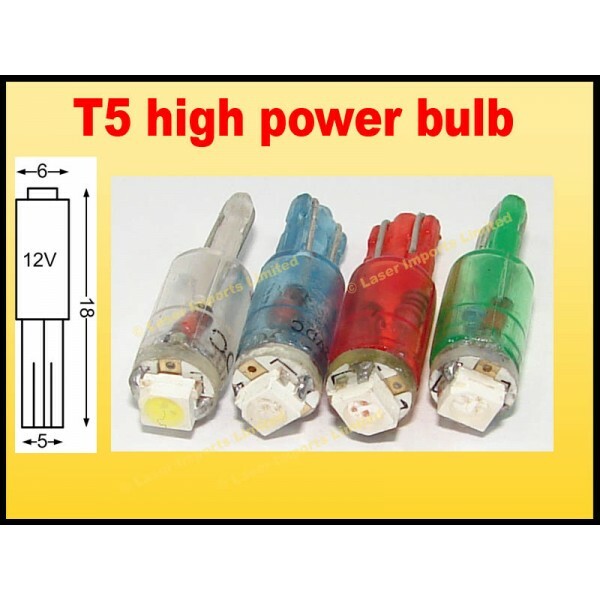 The new version of T5 has a 3 high power leds in the one led chip. Making it 3x brighter than the standard T5. These bulbs are used behind the dash board, ashtray, key surrounds and more. They fit in to a small 5mm wedge socket. They replace lights like the door open indicator, engine check, boot open indicator ashtray, keyhole surrounds etc. Some dash lights.